Dr. Paul Kim (Jersey City) - Book Appointment Online! 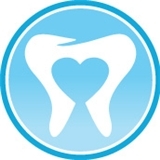 New City Dental Care is dedicated to professional, high quality, dental care. We treat families as well as general and cosmetic dentistry. We opened our doors in September of 2013, Dr. Paul Kim looks forward to meeting you soon. Dr. Kim and all of his staff were very professional and kind! They explained everything and answered all my questions. The office is clean, orderly, and easily accessible via bus.